So if a priest is ordained of the old rite, is he valid priest? If his Bishop was also ordained under old rite and so on? He would be a validly ordained priest but would have to have jurisdiction (NOW) from lawful authority to administer Catholic Sacraments.
" Catholic" weddings after 1958 Invalid? or rendered less effective? For a person baptized into the Catholic Church before Oct 26, 1958 who got "married" after that date, there is no marriage, unless they were KNOWINGLY in union with Pope Gregory XVII and His Hierarchy/Priests after 10/26/58. 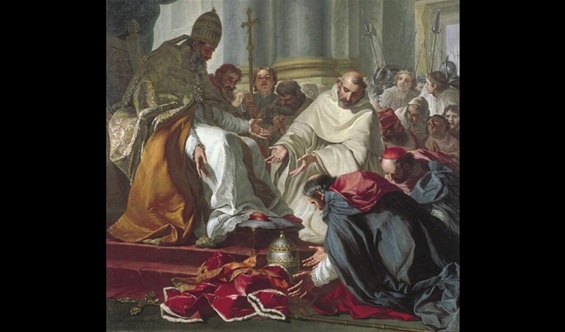 ".. the Council of Macon in a.d. 585 is found the first express DECLARATION of the Christian OBLIGATION of paying tithes, not indeed as a new law, but as the assertion of an admitted Christian principle." -Abbot Gasquet, "Parish Life in Medieval England". How old now is the true pope in exile? His Holiness, Pope Gregory XVIII, has now past 70 years of age. How do i contact a priest in union with Pope Gregory XVIII? The way to do this is to come to a meeting. The frequency of these meetings is usually correlated to the almsgiving of the faithful - which in this time, of the Apostasy, is usually scant.